The gift to the UW-Whitewater Foundation will support a full-time Director of Strategic Engagement — based at the Rock County campus — who will connect businesses and industries with the necessary resources on campus to broaden opportunities and create new partnerships. “Quint and Rishy Studer are true believers in our university’s profound impact on the region we serve and are again making a transformational and critical gift to UW-Whitewater. It is a testament to the excellence of our campus that they are financing a position that will allow us to have a highly qualified employee to focus on enhancing and expanding our relationships in the region. We are grateful to Quint and Rishy for their continued support and commitment to UW-Whitewater and Rock County,” Chancellor Beverly Kopper said. “Research shows one of the greatest resources a community can have is a university. Why? Communities that thrive do so based on the ability to develop and retain talent. Today, universities are filling a role beyond the important job of preparing young people for the world of work,” Quint Studer said. 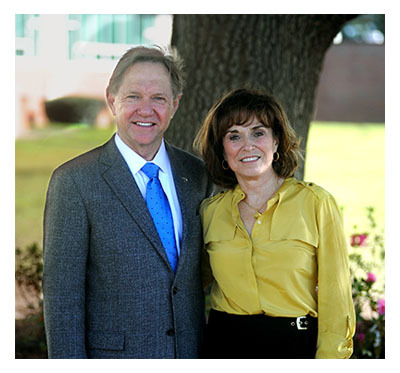 “While we have always been believers in the University of Wisconsin-Whitewater and the citizens of Rock County, over the past several years we have spent a great deal of time with Dr. Kopper and her team, including time in Pensacola, Florida, where we live. During that time, we discussed a number of ways to increase UW-Whitewater’s impact overall, and in Rock County in particular. This donation is an important step in making the quality of life in Rock County even better,” Studer said. Quint and Rishy Studer recognized the important work of many people who are committed to Rock County. Quint noted the powerful impact that Beloit businesswoman and philanthropist Diane Hendricks has had on that area and the advances the Forward Janesville public-private partnership ARISENow is having on that community as just a few of the investments helping to create a vibrant and energized region. Chancellor Kopper said the Director of Strategic Engagement will play a key role in developing new and evolving curricula, customized training programs and conferences, and implementing leadership programs. “UW-Whitewater embraces the Wisconsin Idea and we are deeply committed to serving Rock County, the region and the state. I believe this new position contributes to our shared vision and shows what can happen when we all dream big,” Kopper said. Quint Studer earned his bachelor's degree in education at UW-Whitewater in 1973 and his master's degree in education in 1978. After a career in hospital administration, he founded The Studer Group, an internationally respected healthcare consulting company, in 1998. Quint and Rishy also own the Pensacola Blue Wahoos, a minor league baseball team, with Bubba Watson. Since leaving, he and Rishy have focused on many community outreach and development efforts in Pensacola and Janesville. They are longtime friends of UW-Whitewater. In 2008, they donated funds to build the technologically advanced Florence Kopas room in the College of Education and Professional Studies. Quint served as featured speaker at the 2006 and 2016 spring commencement ceremonies. In 2012, Quint and Rishy established a $1 million scholarship fund at UW-Whitewater for students from the Janesville School District.